High Quality And Brand New! 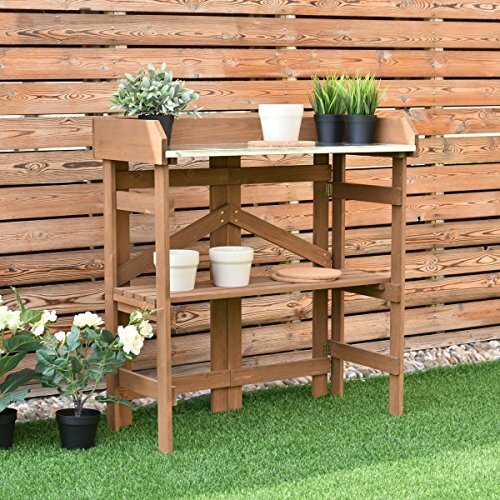 Simple And Compact Design Natural Wooden Material Sturdy And Can Serve You For A Long Time Useful Top Shelf Fine Decoration Of Garden Wonderful For Outdoor potting bench You will feel delightful after having this potting bench. Whenever you walk into the garden, the potting bench can bring you a wonderful sight experience. So don't hesitate! Come and buy one! Distance from top shelf to ground: 31.1"
View More In Potting Benches & Tables. If you have any questions about this product by By Choice Products, contact us by completing and submitting the form below. If you are looking for a specif part number, please include it with your message.